How much finance is too much finance in an economy? Trick question: It's enough finance when you get a finance job that pays you lots of money to do very little (or when your do-nothing company goes public ). But it's too much finance, of course, when that idiot you once knew in college turns out to be working at Goldman and making bank. Finance employment remains a main target for young people, especially recent MBA graduates, especially recent Harvard MBA graduates. 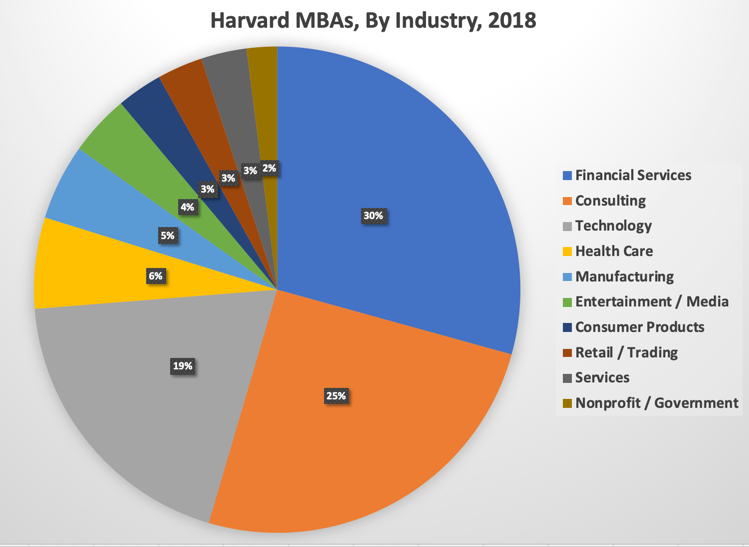 If you combine Financial Services and Consulting, which, c'mon, are both just finance, in real people terms, then more than half of the Harvard graduating class has been going into finance for decades. And for good reason, of course, given that Harvard is expensive and finance pays a lot, with new hires often able to earn twice as much as there as in other fields. This is, of course, ridiculous, but it's also kinda hard to ignore. See also: Student debt. Many people (including me in this paper) have argued that the increasing financialization of the economy isn't such a great thing. It diverts people from more productive things, like building products and services people need; it reduces the number of entrepreneurs; it leads to asset inflation; and so on. To be fair, it also means that most truly annoying finance people end up living in Manhattan and away from the rest of us, so it's got that going for it, but that may not be enough. So, how much finance is too much? I tried to answer that at the outset, but that my-college-idiot-friend-at-Goldman answer is ... not entirely satisfactory. A recent paper takes another tack, arguing that increased financialization leads to more liquidity -- more trading activity -- and that is where you can draw a kind of bright-ish line. The authors show that, across 136 countries studied over the period 1961-2015, when liquidity surpassed a little more than 100% of GDP it started having a negative effect on GDP growth. And given that more financialization breeds more financialization, which brings more liquidity, countries, all else equal, are pulled inexorably toward that cliff of Too Much Trading Of Everything. This suggests that there is a role for Tobin taxes and that sort of thing, but I won't jump off that particular policy cliff today. Instead, let's bring it back to that idiot college friend of yours. If he goes to Goldman, worry; but if he starts a new trading firm, panic. QED. Sewage markers are an excellent proxy for a population's health, as well as its consumption of drugs. There are projects underway around the world, including sewage-sampling robots that can be lowered into manholes dotted throughout a community. You might think that piling into intro triple-leveraged ETFs during crises would no longer be a thing, given recent collapses, but you'd be wrong. 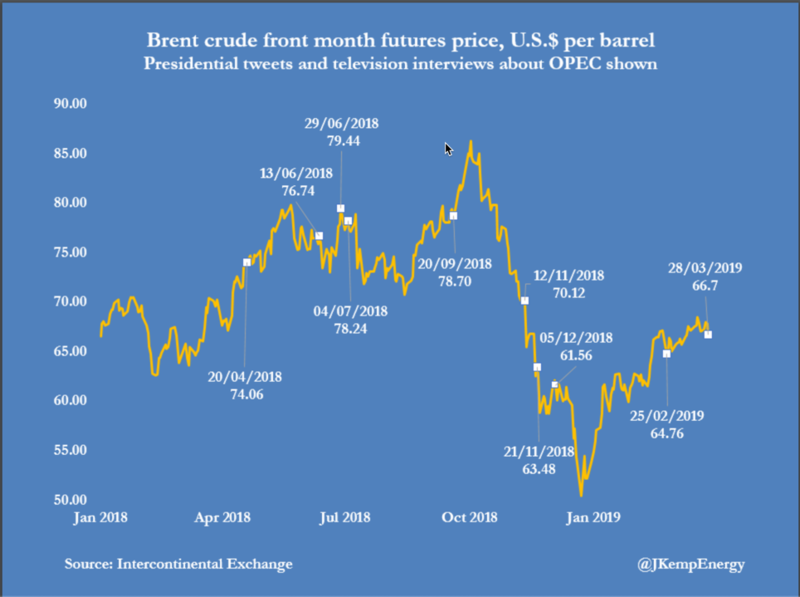 There has been a massive inflow into Brazil's in the current mess there. The more masculine a CEO's face, the more said CEO takes on debt, does more deals, and pays more for deals. Perhaps unsurprisingly, the more volatile their stock too. It seems that people with early access to broadcast signals are cheating on U.K. betting exchanges. Entertainingly, that isn't improving their wagering performance. 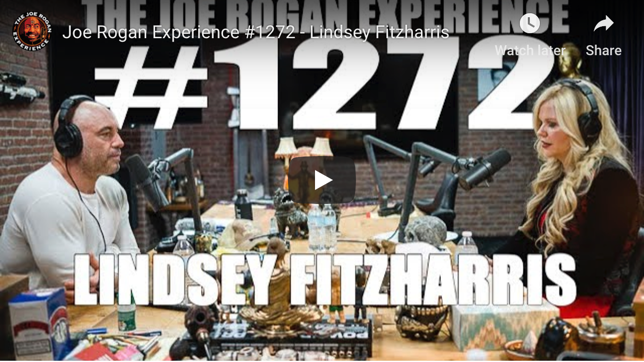 This is an instant classic, with medical historian LIndsey Fitzharris talking to Joe Rogan about the history of surgery. It's like Fear Factor, but way, way too real.